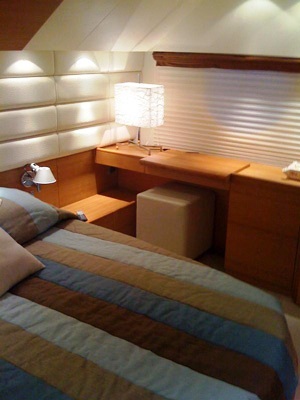 Motor yacht MISS CAROLINA is an Aicon 64' built in 2007. 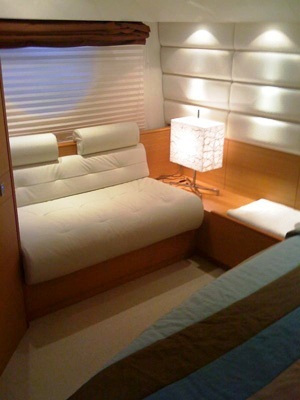 She accommodates up to 6-8 guests with a crew of 2 and is fully air-conditioned. 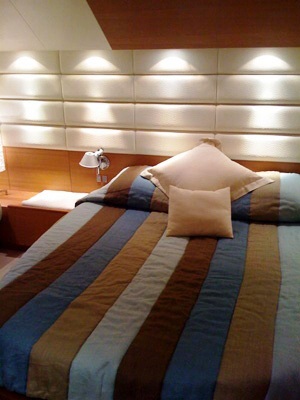 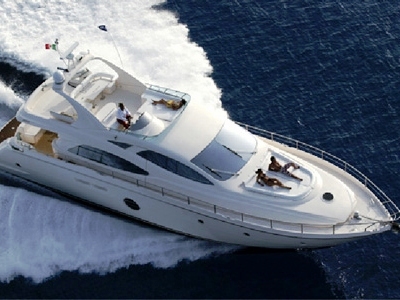 Motor yacht MISS CAROLINA is based in Rome and operates throughout the Tyrrhenian Sea and Western Mediterranean. 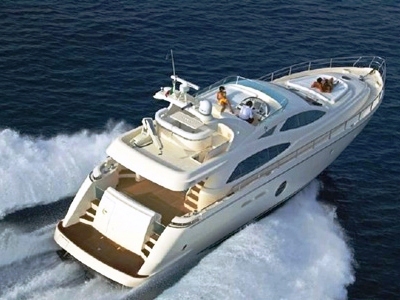 Motor yacht MISS CAROLINA can accommodate up to 8 guests however the ideal number of charter guests would be 6 or 6 plus a child and nanny. 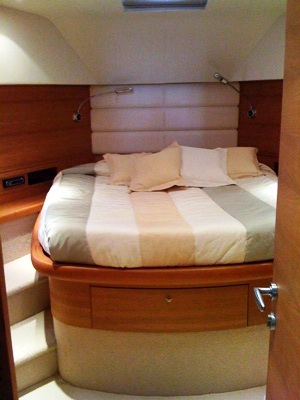 Her Master cabin aft features a sofa, vanity and ensuite bathroom with shower and bidet, her VIP cabin forward also has an ensuite with bidet. 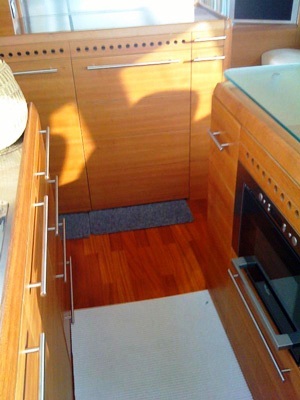 Amidships there is a twin cabin with ensuite and a smaller 4th cabin available only for family groups with child or nanny. 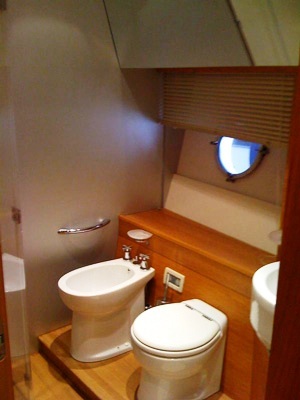 The 4th cabin is shares the same bathroom of the twin cabin. 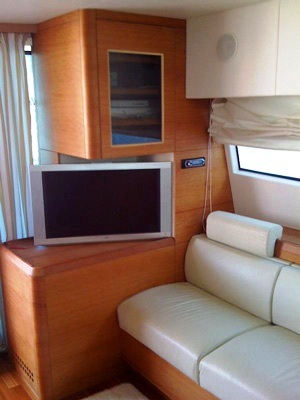 There is a 17” plasma screen TV in each cabin. 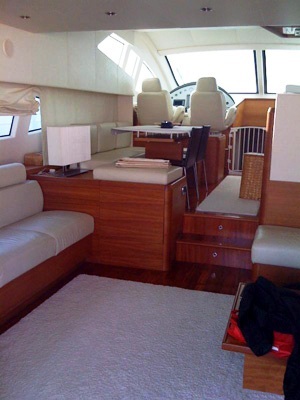 The yachts main deck interior features a salon with couch, the dining area, galley and wheelhouse all in the same area. 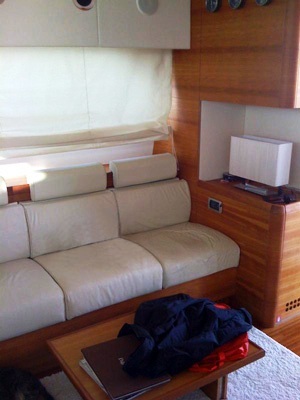 The salon has a 20” Plasma TV screen and a white leather sofa. 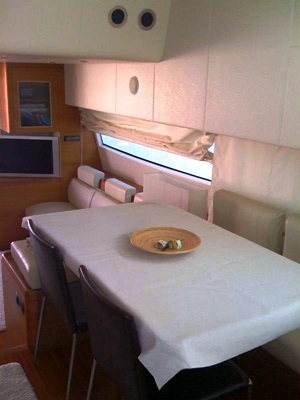 The interior is light and bright and has been maintained impeccably. 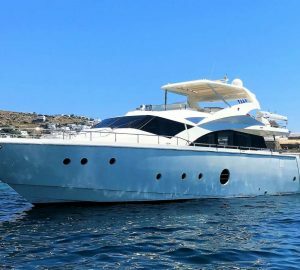 Motor yacht MISS CAROLINA has a crew of 2 and is based in Rome and is flexible to charter in areas such as Tuscany, Naples and Sardinia. 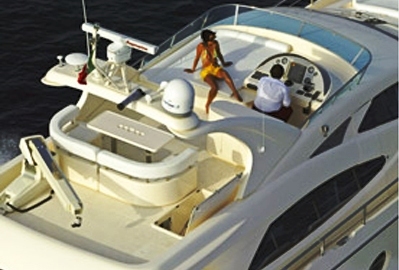 The Aicon 64 MISS CAROLINA has the following extras on board: Her Tenders and Toys include an inflatable Tender with Outboard Engine and a Donut. 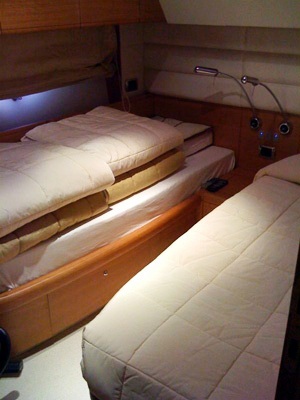 Communications include VHF, GPS, EPIRB, SSB, Automatic Pilot, Radar, Echo sounder and & new electronic instruments. 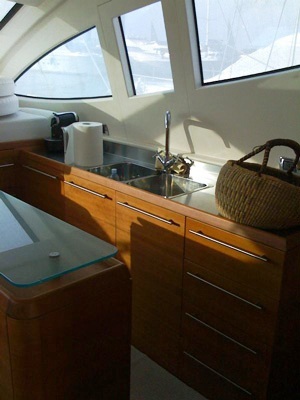 She also has a Satellite TV, TV 20.